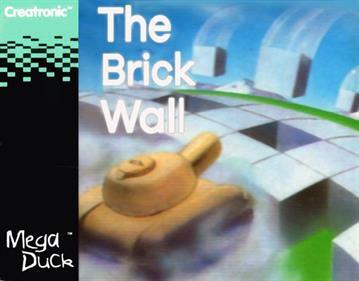 ​Launched in 1993 as a competitor to Nintendo's Game Boy, the much more sensibly named Mega Duck, or 'Timlex Mega Duck WG-108', to give it its full cyborg name, was sold predominantly in the Netherlands, where people like their handheld gaming devices to be named after water fowl and are still displeased to this day about the non appearance of the Bandai Wonderswan on Dutch shores. It also popped up in South America as the 'Cougar Boy' and in Germany (as the Mega Duck again) where it came in a nice black shell and even had it's own educational computer add-on! Like that other fabled Game Boy competitor, the Watara Supervision, The Mega Duck was its own proprietary system with around 30 games released for it in its lifespan. Unlike the Watara Supervision, 90% of these games weren't rubbish. Read about it some more by following the links below as we embark on a quest to definitively review every game released for the Mega Duck! ﻿Nothing to do with puppets. Not much to do with knights, either. Look, the system is called the Mega Duck. Don't expect conventional naming patterns! ​It's a Bomberman​ clone and a good one! ﻿﻿Fly through the skies as a robotic, oversized turtle, shooting down weird looking animals in Sachen's likable, cutesy homage to the TwinBee series. Mighty "worriers" from "Monica" battle across the newly penguin infested country of Iceland and some place called "Igypt" in a side scrolling monster mash of average gameplay and amusing mistranslation. Little Red Riding Hood turns legit after her unofficial NES adventure as she journeys into MegaDuck territory in this fairly polished, if short, maze based pseudo-sequel. Why does the polar bear look like an albino koala? Who knows...or indeed cares. Does the 't' on his hat stand for terrible or tedious? Answer: both. Find out why in our review of Commin's fairly dull block based puzzler. Sachen (once again masquerading as Commin) try their hand at a horizontal mech-based shooter. The result is short and sweet, with a lingering aftertaste that makes you wish it was more fully realised. Sachen takes the basic rules of rock, paper, scissors and incorporates them into an original platform puzzler with a neat password system that's perfect for portable play. Tying with 'Worm Visitor' for most peculiarly named Mega Duck title comes Sachen's tale of a kingly curse that's actually an addictive little snake based puzzler. The cover shows an action shot of an 4x4 hurtling towards a dinosaur while being pursued by a helicopter...so of course this turns out to be a clone of the arcade game Anteater. A game about...eating ants. A fun evolution of Frogger's core gameplay that's a challenging arcade style throwback, well suited to a portable unit. What would you like to play on your high-tech handheld in the space year 1993? It's also one of the best puzzle games on the system. A bare bones clone of Sokoban, that plays well enough but lacks any kind of charm or flourish beyond its amusing name. A Dr. Mario clone with a futuristic re-skin, annoying music and above average gameplay. Is Sachen's cross between Loco-Motion and Pipe Mania is as slow and frustrating as British Rail on a damp Sunday afternoon or one of the system's best puzzlers? Find out in our exclusive review!